When you have the flu or another illness that zaps away your energy and leaves you feeling fatigued and run-down, the last thing you want to do is drag yourself to the doctor’s office. Fortunately, Los Angeles-based Jeff Toll, MD, offers in-home sick visits for his patients who don’t want to leave their homes while they’re sick. If you want a primary care physician who puts your needs first, call or schedule a consultation online with Dr. Toll today. He can see you in the office, at the home, or by virtual visit through his virtual platform. Dr. Toll provides urgent care and same-day sick visit services in the office. If you’re sick and don’t want to leave your bed but you need medical attention, he is able to make a house call to your own home, or you can see him through a virtual visit. However Dr. Toll sees you, he is able to prescribe medications and treatments to relieve your symptoms and help your body recover. 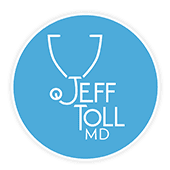 Dr. Toll practices medicine with a holistic focus, which means he has your total wellness — mind, body, and spirit — as his priority at all times. In addition to helping you recover from illnesses, Dr. Toll provides advice and services aimed at improving your overall health, helping prevent illness and other health problems. You can ask for advice on how you can lose weight, lower your blood pressure, and reduce your risk of other health problems. Why would I need a sick visit? Sick visits are for everything from Sore throats, colds, flu, ear aches, sinus infections, asthma, pneumonia, migraines, UTI, rash, STD testing, Abd pain, Diarrhea, Nausea, vomiting, hangovers, and more. Additionally, if you have a chronic health condition or disability that makes it difficult for you to leave your home or travel, you can schedule an at-home sick visit with Dr. Toll. What services are available during a sick visit? Dr. Toll provides a comprehensive array of diagnostic services and medical treatments during a sick visit. He performs exams and tests — like throat cultures — to identify your illness before recommending treatment. In addition to prescribing medications like antibiotics and antivirals, Dr. Toll can also provide IV therapy in the comfort of your home. Dehydration is a common risk with severe illnesses, and an IV can replenish your fluids while also delivering a customized dose of vitamins and medications to relieve your symptoms and help your body fight off your illness. What should I do if I’m too sick to go to the doctor’s office? If you’re sick and feel too unwell to come to Dr. Toll’s office, you can call his practice or use the online scheduling tool to schedule an at-home sick visit or a virtual visit.